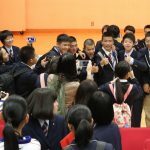 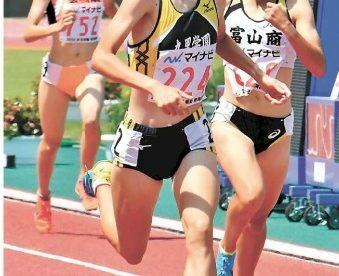 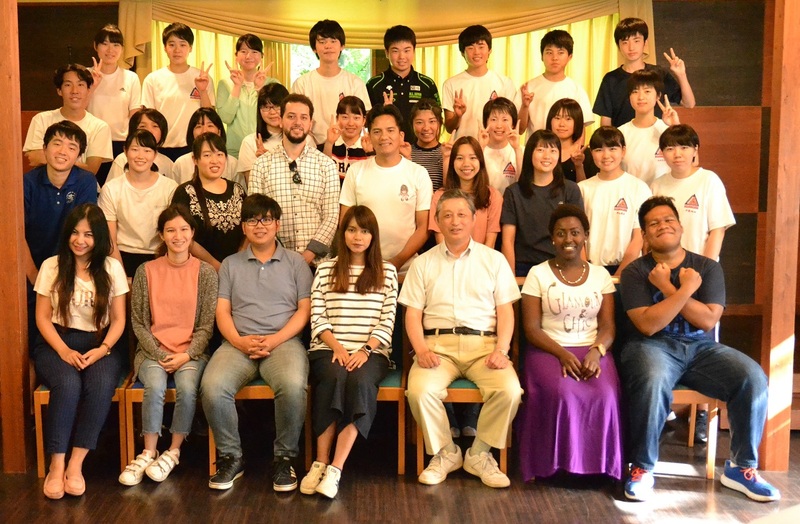 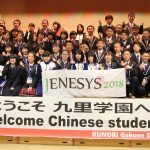 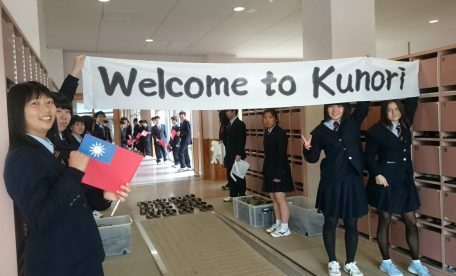 This is the third year, The Yamagata University Department of Engineering has been involved in this program with exchange students participating together with Kunori students in various activities. 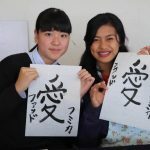 and one from Morocco stayed with our students in ZAO. 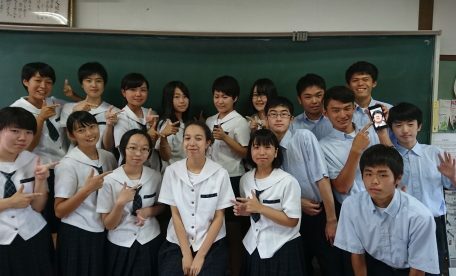 Each of the exchange students and our students formed groups and did a range of different group activities together. 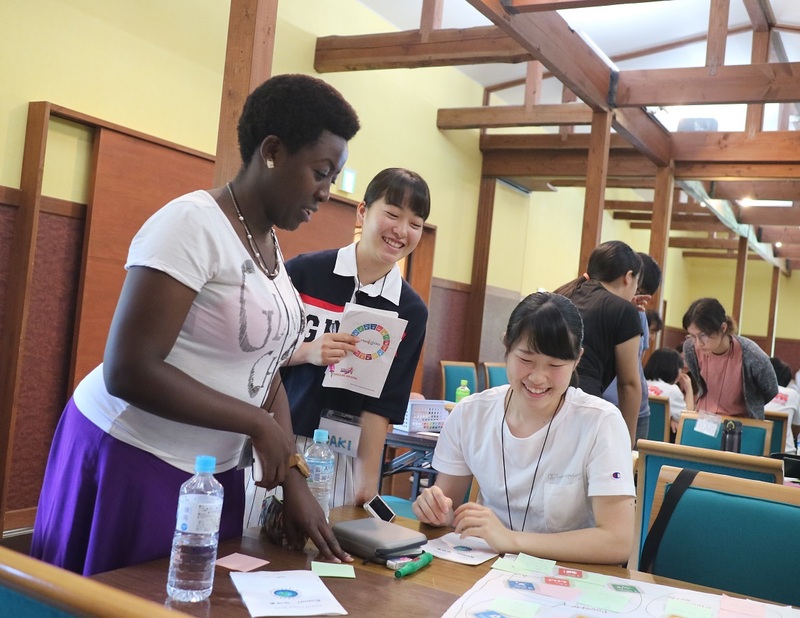 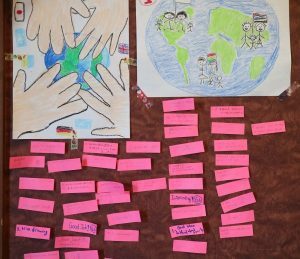 Workshop1:In groups each exchange student taught their native language to Kunori students. Workshop2: Each group created its own original flag with the idea of being a global citizen. 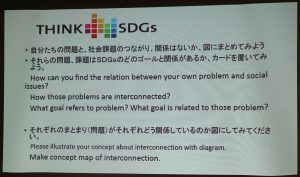 Workshop3: Each group creates an action plan for SDGs(Sustainable Development Goals) and presented at a poster session. Workshop4: Each group presented “Design Our Future” at a poster session. This year`s global camp was a terrific success. 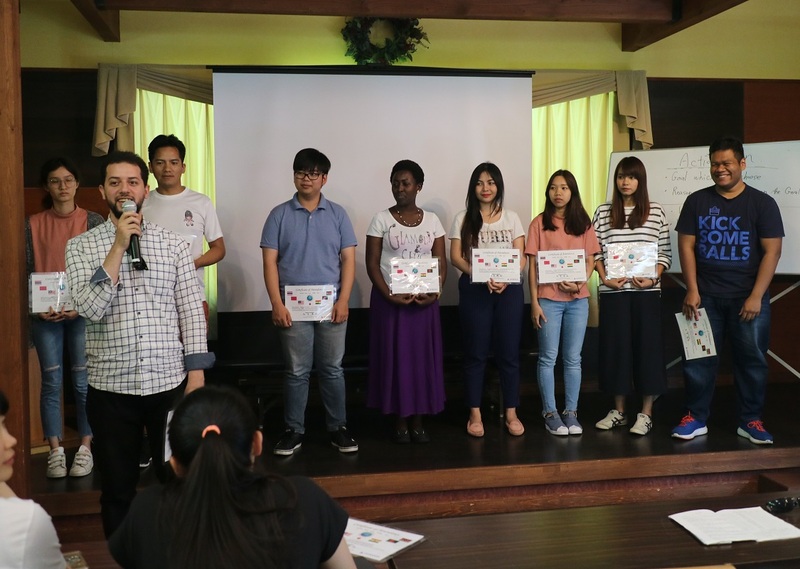 Our students were very motivated to interact with all nine foreign students that took part to learn as much about their cultures and countries as possible. 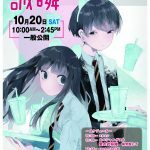 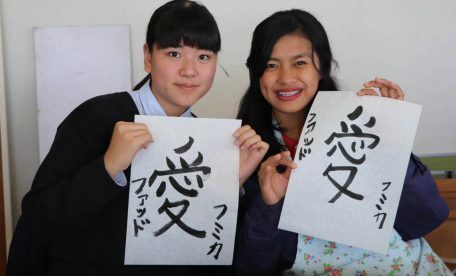 English was the common language used throughout the two days. 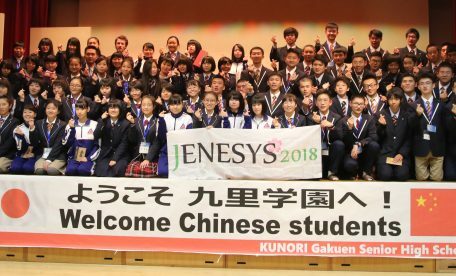 This was challenging but I felt that our students communicated well each day as they were determined, patient and also had the support of the foreign students. Our Kunori staff prepared very fun, interesting and also challenging activities for the participants at the global camp. 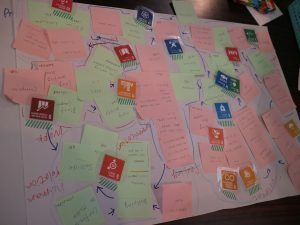 The focus this year was on the United Nations Sustainable Development Goals. 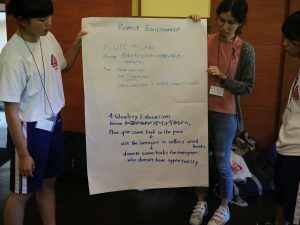 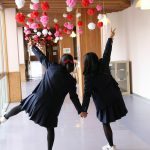 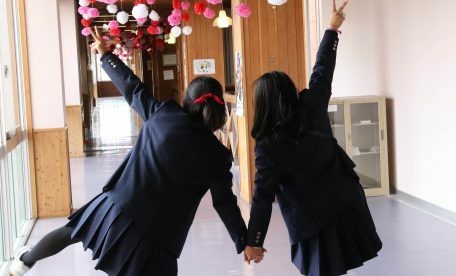 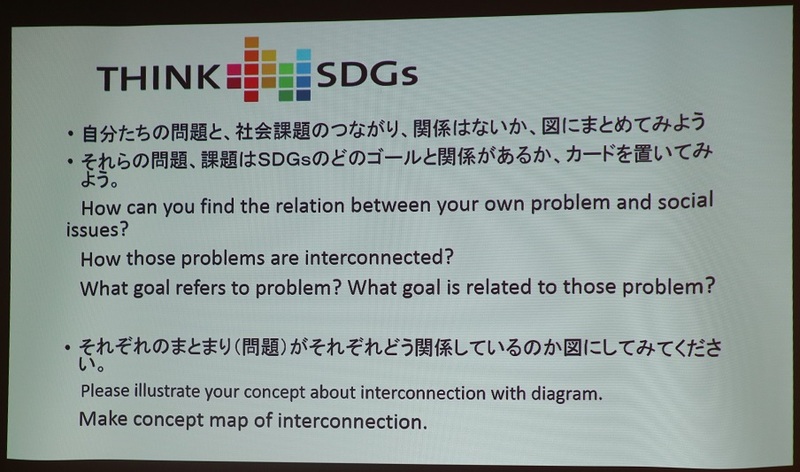 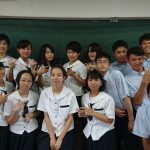 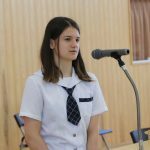 Both foreign and Japanese students worked together in groups to discuss these goals and how these goals could be achieved in their daily lives. 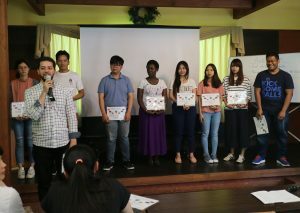 At the end of the two days I saw the connections and friendships that were made between all participating students and look forward to planning and participating in next year`s global camp.